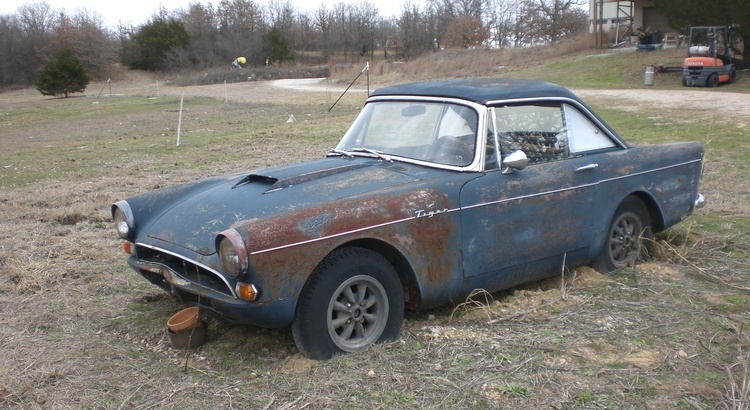 This Sunbeam Tiger was spotted overlooking a grape field at a winery outside Decatur TX by the members of the Red River Triumph Club dueing their tour of Brushy Creek Winery. June 30, 2010, 9:59 p.m.
Did anyone rescue this treasure yet? ?